Faith and Freedom Daily: Huckabee Identifies Political "Bed Wetters"
Huckabee Identifies Political "Bed Wetters"
Mike Huckabee, talking to a less than friendly Megyn Kelly on Fox News this week, said, "Let me tell you something. Here's a little secret Megyn..."
Huckabee continues by defining what he describes as "bed-wetters" and explains why they "wet the bed" and "wring their hands." The former Arkansas governor said, "Let me tell you something. Here's a little secret Megyn, a lot of those bed-wetting, hand-wringing Republicans, they're not afraid Donald Trump is going to lose. They're scared to death he's going to win." "And," he said, "if he wins, he is going to mess up the neat little package of fun they have because they all play to the donor class and Donald Trump is coming to make big changes in the way these institutions go." "Neat little package of fun." Huckabee knows how it works---so does Trump. And the public is coming to know as well. Yesterday Republican Speaker of the House Paul Ryan announced he will not campaign for or support Donald Trump. Trump Tweeted, "It's so nice that the shackles have been taken off me and I can now fight for America the way I want to." He also Tweeted, "Disloyal R's are far more difficult than Crooked Hillary. They come at you from all sides..."
And he said, "With the exception of cheating Bernie out of the nomination, Dem's are more loyal to each other than the Republicans." In a measured, almost choreographed way, every day, one or several high-profile Republicans are telling the press they are voting for Hillary. A number of the Bush family have said they will vote for Hillary. This past weekend, Glenn Beck announced he is voting for Hillary because that is the "moral, ethical choice." He wrote on Facebook, "It is not acceptable to ask a moral, dignified man to cast his vote to help elect an immoral man who is absent decency or dignity." Beck wrote, "If the consequences of standing against Trump and for principles is indeed the election of Hillary Clinton, so be it. At least it is a moral, ethical choice." Most have not seen Hillary, the champion of abortion, homosexual "marriage" and globalism, as a moral and ethical choice. Nor do most biblical Christians want her to appoint 2 to 4 Supreme Court Justices. Beck's statement is interesting, in that he once called Hillary a "stereotypical b**ch." Personally, I find no morality or ethics in voting for Hillary over Trump. I'm wondering if Glenn Beck's Mormon Church will agree with him? There is no doubt this parade of theater will proceed until November 8. But back to Huckabee. Is he right? Has politics become a "neat little package of fun?" And will there be political consequences for the Republican Party, regardless of how this election turns out? Huckabee thinks there will be. So does Laura Ingraham. Yesterday, Laura Ingraham published the following article titled, "GOP Leadership v. GOP Base." The vast majority of Republicans want Donald Trump to be president. 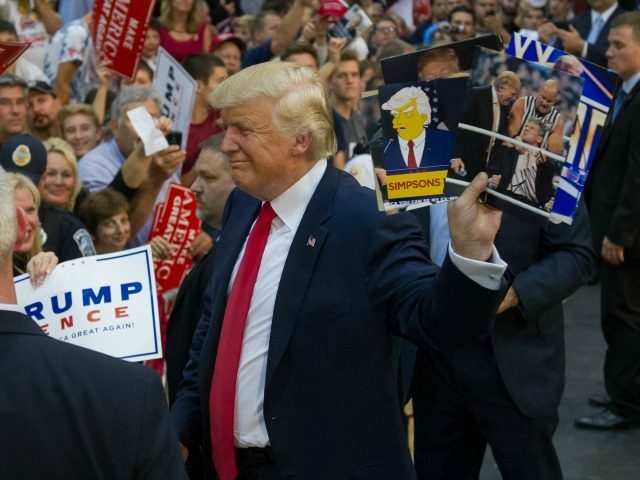 They’ve repeatedly told the pollsters, they’ve turned out in huge numbers for the GOP nominee’s rallies, they’ve given him a record-breaking number of small donations, and they are trying to help him win. Some of them were for Rubio, some of them were for Kasich, and a lot of them were for Cruz, but they have come together in an effort to save the country from Hillary Clinton. A small minority of Republicans do not want Donald Trump to be president. They prefer Hillary Clinton. Unfortunately for most of the Republican Party, this small group of angry dissenters includes many of the people at the top of the party — officeholders, major donors, “strategists,” and “conservative” pundits. These people have been able to leverage their connections with the mainstream press to repeatedly attack Trump — even though they refuse to say anything nice about Hillary. Their fundamental problem is that they are closer to Hillary on most issues than they are to Republican voters. The honorable thing for them to do would be to leave the GOP altogether and work with the Democrats — as some like Andrew Sullivan have. But they’re unwilling to do that. Instead, they take Hillary’s side on every issue while claiming to be pushing the “conservative” line. Furthermore, it gives them an incentive to talk about everything in personal terms — as if they would have supported someone like, say, Huckabee, if the former Arkansas governor had been nominated, even though that’s not true. So instead of having an honest discussion as to whether the GOP should be a globalist party or a nationalist party, everything dissolves into personal attacks. When this election is over, the vast majority of Republicans are going to remember that their supposed leaders — the same officeholders, millionaires, and pundits who told them that they had to “come together” and support John McCain and Mitt Romney — refused to do the same for Donald Trump. They will know that what they have long suspected is true — the Republican Party is led by people who have more in common with the Clintons than with the GOP base. And that knowledge will affect the future of the GOP for years to come. And more importantly than the future of the GOP, the decisions we are making in 2016 will affect our children and grandchildren for years to come. "Impress upon children the truth that the exercise of the elective franchise is a social duty of as solemn a nature as man can be called to perform; that a man may not innocently trifle with his vote; that every elector is a trustee as well for others as himself and that every measure he supports has an important bearing on the interests of others as well as his own." I think Webster was, among other things, telling his fellow countrymen to "grow up," "take responsibility for your actions," and "don't use your vote to teach someone a lesson"---or perpetuate your "neat little package of fun"---don't trifle with it because you are a trustee of it before God and man. And "stop wetting the bed." Be Informed. Be Discerning. Be Vigilant. Be Prayerful. Be Pro-Active. That Huckabee would use the descriptive verbiage of the bully shows exactly why people are turning their backs on the abusive candidate and his supporters. Christians would no more vote for Trump than they would have for Nero. Trump is many things, but to compare him to Nero is intellectually dishonest. Self-important braggarts and demagogues that put their needs before those of others, willing to break rules to achieve personal goals no matter how many are harmed, and to blame on minorities as the cause of all society’s problems. Considering what we know from history Trump and Nero are practically identical twins. Didn't think I would ever hear of Glenn Beck endorsing Hillary. From now on, whatever Glenn Beck says, doesn't matter. So I found out from other sources that Glenn is not endorsing Hillary, that is, he is not supporting her, and will not be voting for her, and this I find easier to believe, so I guess Glenn hasn't quite gone off his rocker as I had thought. Oster-you apparently have no understanding of Christians or the issues they most care about. I understand quite well - Trump will betray anyone that trusts him as he has for everyone throughout his life, in business and family - political promises he makes might as well be on toilet paper. He has no genuine respect for anyone. Add in he is the ‘president of choice’ of Putin and his ham-handed attempts to sway the US election and the path is clear. As Glen Beck pointed out, a president Clinton can be legally fought by people of principles, no Court Justice can be approved without a Senate supermajority which she won’t have. Both or at least the House will stay in Republican control. Trump on the other hand will be Putin’s puppet or a fool that he can easily bamboozle and manipulate. Trump will forget every campaign promise the night of the election and those that voted for him will have lost all ethical right to stand against him. A Christian won’t support a misogynist bully, they’ll vote for someone else. OV Didn't know gay activists were that closely aligned with Beck. I align with the truth no matter who speaks it. Christianity Today has an editorial about the folly of Christians supporting Trump, he is the Biblical definition of a fool. Anyone who believes Trump will honor his word and keep commitments is seeing Trump as they want him to be, not as he actually has been his entire life. Since making his initial statements regarding Clinton and Trump, which Gary quoted in this article, Glen Beck has walked back his words, now saying he "is not" voting for Hillary, but cannot vote for Trump either. Gary clarified this on the radio this morning and has asked us to do so here as well. I agree O V, you've said it very nicely. I, like Beck, will not vote for Trump. This J B conservative registered GOP voter has become a RINO libertarian. I trust neither Dem nor GOP rhetoric.